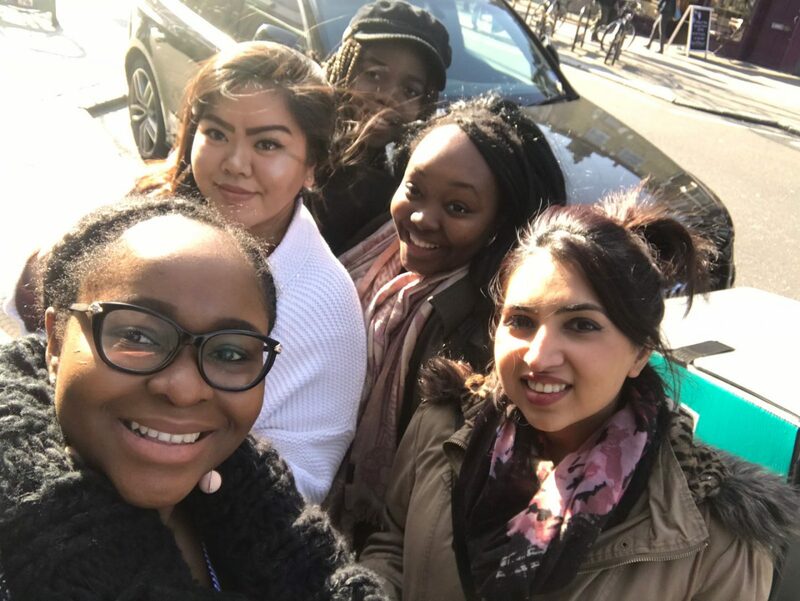 Brunching Bloggers was founded in 2017 to bring together a diverse range of bloggers over brunch. We aim to break the cliques, one bite at a time. 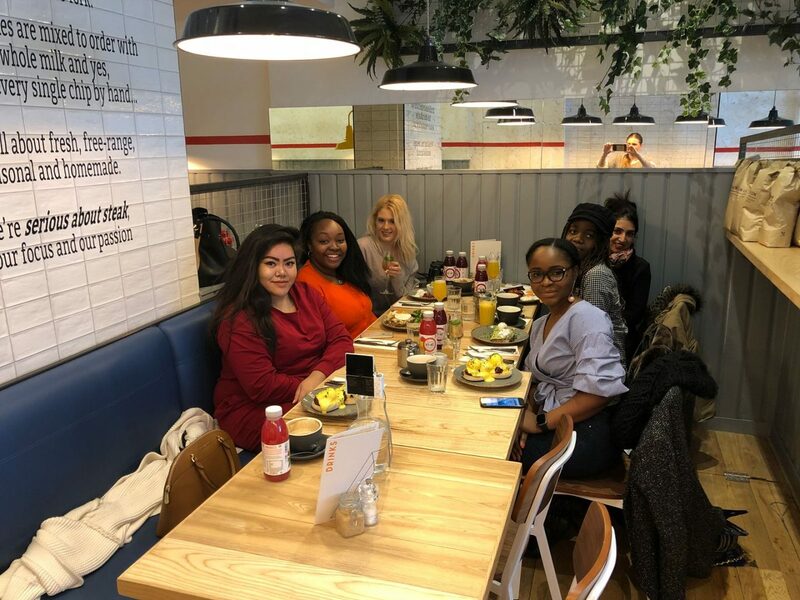 To kick start our #BrunchingBloggers in 2018, we brunched at Arlo’s located in the lovely London location of Battersea. Arlo’s are obsessed with delivering the best quality steak and quickly. After looking at their mouth-watering photos on Instagram, we knew that we definitely wanted to host a #BrunchingBloggers at their restaurant. Brunch started with hot drinks circulating the table, followed by bellinis and mimosas. When it came to ordering, we were spoilt for choice (apart from our gluten free guest – sorry). 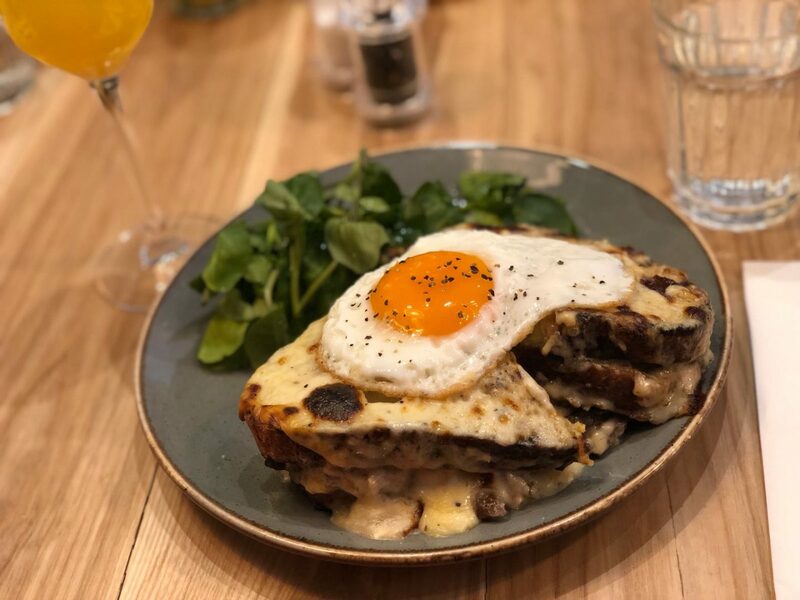 I opted in for the Croque Moo’sieur, Arlo’s take on the french classic – Croque Monsieur. Instead of using ham, they use a juice slices of steak. And yes, it was as amazing as it looks. Anyone who knows me, knows that I LOVE cheese, so seeing that cheese glistening as my plate lay in front of me had me drooling. Conversation flowed effortlessly, it was great hearing everyone’s stories and blogging journey. Amanda who is a blogger that also works in PR shared some tips on working with PR companies and get collaborations/sponsored content. That’s what we aim for with #BrunchingBloggers, brunchers to learn from each other, build relationships and make connections. After brunching, our lovely group wandered together to the local park to get some photos for our blogs and Instagram feeds. With Amanda behind the camera, we all took turns getting on a log and posing for the camera. Honestly, #BrunchingBloggers is one of my monthly highlights each month, great food and great company. I’m looking forward to seeing #BrunchingBloggers grow throughout 2018. We were given a set menu price in collaboration with Arlo's. As always, all opinions are my own. Next Post WHERE TO STAY WHEN TRAVELLING | HOSTELS, HOTELS, AIRBNB? Oh my god yes, that food looks so good! Brunch is legit one of my favourite things to do. It was so good, would love to eat it all over again!